Since 1976 Melbourne businesses have trusted Stick On Signs to provide them with innovative, eye-catching, and affordable signage solutions. We are known for far more than Stick On Signs, and our expertise ranges from start-up shop fronts to large scale commercial offerings. Our customers benefit from our industry knowledge, commitment to long-term relationships, and understanding of the type of signage they need, so they are as a successful business. We are a family-owned and run business that has scaled through professional innovation to become a leader, yet it’s our personalised services that set us apart. We import some items and manufacture in-house so we are able to offer affordable pricing, fast turnaround, and get your signs installed quickly. Let us help you succeed today! We have been using the services of Stick on Signs for the past 10 years. Their dedication and attention to detail is excellent. They are extremely helpful with the design aspect and provide great aftercare. They are reasonably price and a pleasure to deal with. Stick on Signs put us on the map! Our signage sets us apart from our Competitors and is great for drive by business and our word of mouth trade! It’s a great investment. 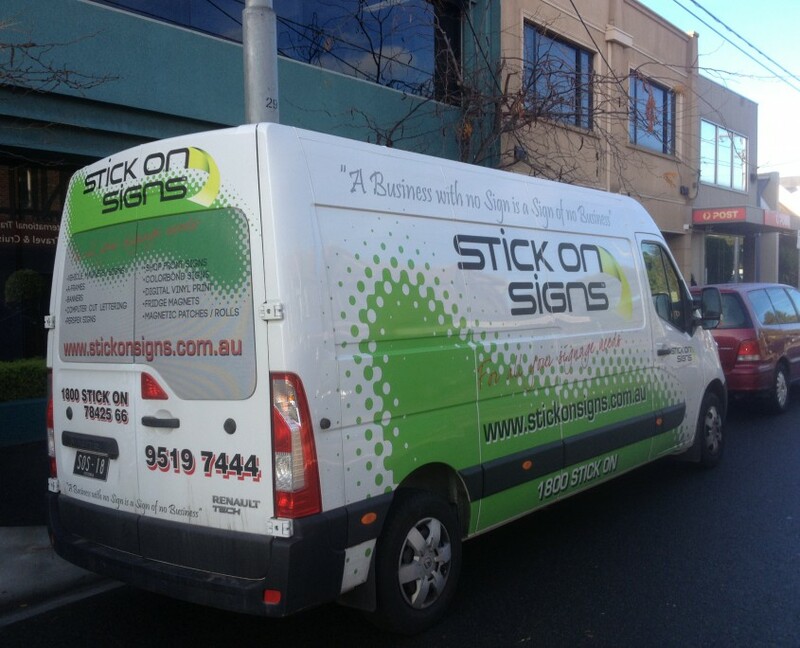 The team at Stick on were helpful knowledgeable and we couldn’t be happier with their professionalism. We love our light box and the large signs outside. Thanks so much! Thank you Stick On Signs! Our new warehouse looks brilliant and we are also really impressed with the standard of the Window Signs and Receptions Signs at our shop.